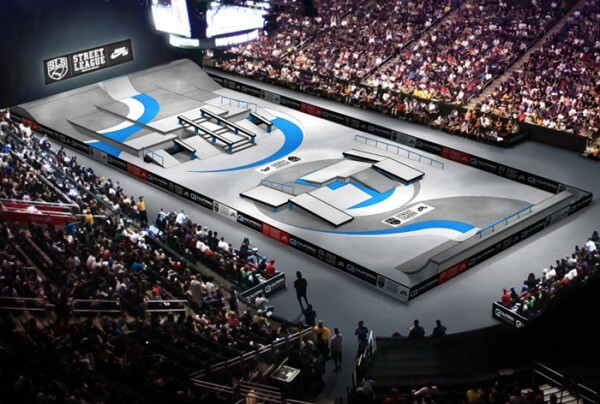 Nearing the end of the 2014 Street League Skateboarding Nike SB World Tour, Stop Two in Los Angeles, CA will be the final opportunity for the SLS Pros to earn their place in the 2014 Nike SB Super Crown World Championship in Newark, NJ. On Sunday, July 27, inside the Galen Center at USC, California Skateparks will unveil yet another innovative course design with features never before seen in a SLS event. This Los Angeles course sets up many challenges for the pros, forcing them to be innovative and progressive with their trick selection. It sets the perfect stage for an exciting event with a story to tell at every turn. It’s going down this Sunday, July 27, live on FOX Sports 1, FOX Sports Go and the streetleague.com webcast for international viewers. Get your Los Angeles tickets at streetleague.com/tickets.